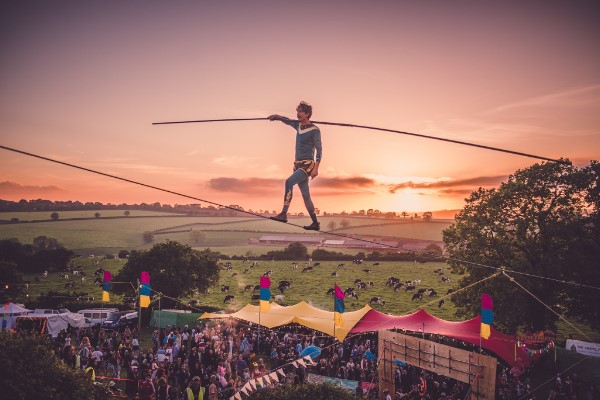 Don’t miss this closing summer spectacle on Saturday 15 September, 6:30pm-10:30pm, The Blondin Gala – a celebration of the historic event when in 1861 international sensation Blondin completed a tightrope walk across The Piece Hall. The Bullzini Family will recreate this great high wire feat for this specially commissioned show for the big occasion. The lead performers are Chris and Phoebe Bullzini, who have worked together for over seven years as wire walkers and are the only UK couple to have tied the knot while on the wire. The Gala will feature an array of artists and performances for the audience to explore, including side show curiosities, vaudeville style street theatre, circus acts and magic to make this an evening to remember. Alongside the entertainment there will also be a host of food and drink pop-ups with belly-warming options and some circus style treats. This event forms part of the nationwide Circus250 celebrations and is over the Heritage Open Days Weekend. Families can book onto the Making Magic workshop to get involved in during the daytime. Book now by going to the Piece Hall website. ← North and East Halifax Friday Flyer 14 September – OUT NOW!